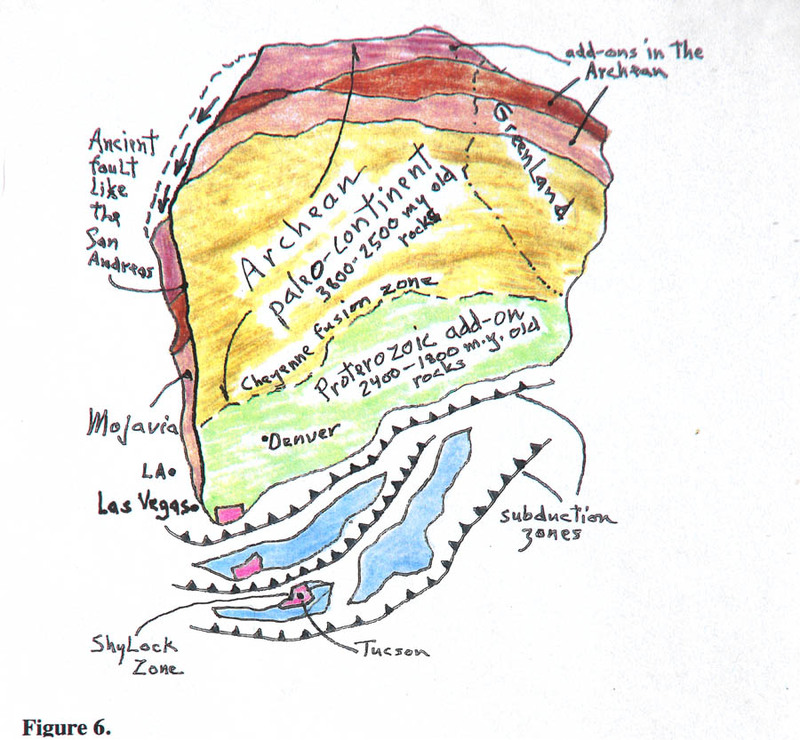 The Archean continent is dozens of rock assemblies glued together before 2,500 m.y. ago, colored browns and pinks. During earlier Proterozoic time a series of lands and islands collided with the southern coast - at mostly 1,800 to 1,650 m.y. ago (green and blue). The three small partial pink squares are the three parts of Arizona - with Tucson indicated. Note that Greenland is fused on. At some point about 1,700 m.y. ago a slice of western Canada got ripped off and drug down along the old western coastline. This mass is now called Mojavia and is seen in Death Valley National Park. By 1,600 m.y. ago, the main North American continent was assembled - less Mexico, California, Oregon and Washington.